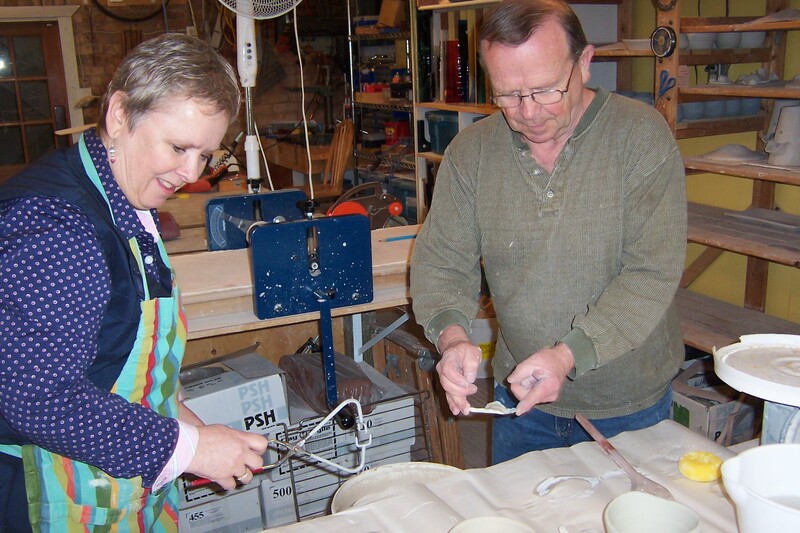 If you are looking for a fun small group experience, try your hands at pottery with Dave Riach of Davara Studio in Blyth, Ontario. On a sunny spring morning, we arrived at his studio, ready to play in the clay. 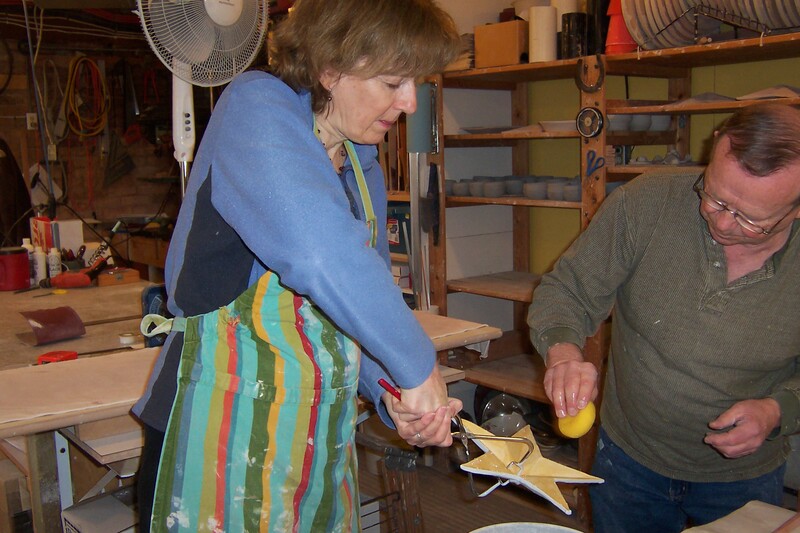 He starts off by showing us samples of pottery products and glazes which have been created by him and his wife Tamara. Once you see the realm of possibilities, we then moved into the workshop to become familiar with hand building and wheel work. Cindy wanted to try throwing pottery on the wheel to make small serving pieces; Laurel wanted to try making beads and decorative jewelry pieces. The great thing about Dave is that he lets you explore your own thing while providing clear guidance about the process for doing this in his studio – he is a good sharer! Cindy discovered that throwing pottery on a wheel takes accurate pressure and speed – but even wonky bowls have their charm. 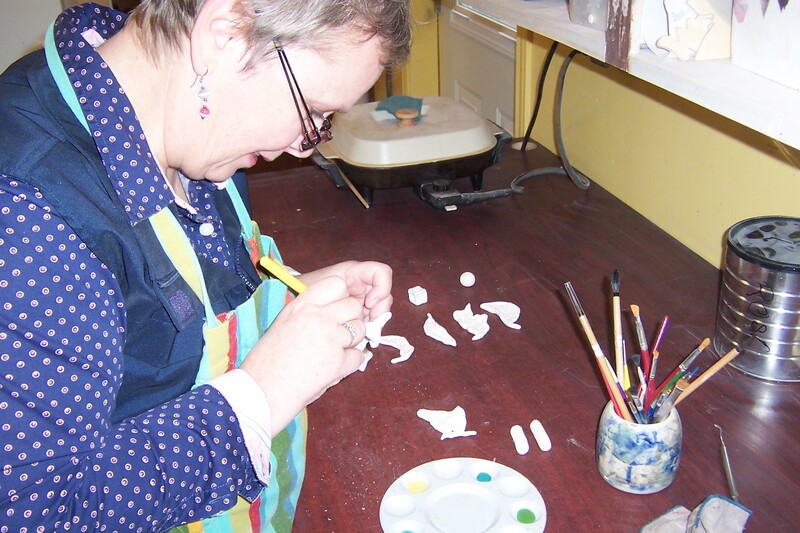 Laurel discovered that creating clay beads and pendants for necklaces was all about textures, shapes and glaze. 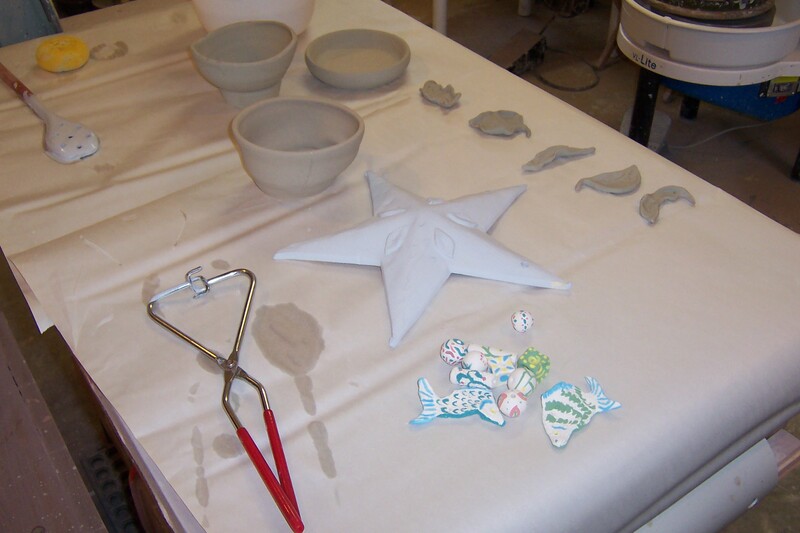 Once the clay art has been created, the timing of kiln drying and glazing will be worked out to fit the mutual schedules. So if you are looking for creative learning fun, contact Dave at 519-523-4355 and talk about the options for his hands-on ‘playing with clay’ experiences. By the way, in addition to pottery and other decorative items for the table and garden, he also sells stained glass creations, and does commission work. Oh – and he also does birthday party packages for the young and young at heart– how much fun would that be!?! Oh – he also teaches Stained Glass if that catches your fancy. ← Looking for a fascinator? Marita’s has them!